Nukubati Island Resort, a private island resort, is a natural extension of a gracious and simple style of plantation living. Catering for a limited number of guests, Nukubati has preserved its incomparable sense of total seclusion – a unique and forgotten paradise. Ringed by a spectacular coral reef and a white sandy beach, it’s a low to no-activity destination where the emphasis is on fine food, friendly service, and complete relaxation. Warm days can be spent swimming, snorkeling, sailing and fishing on the crystalline reef, or simply lying under a coconut tree with a book from Nukubati’s eclectic library. 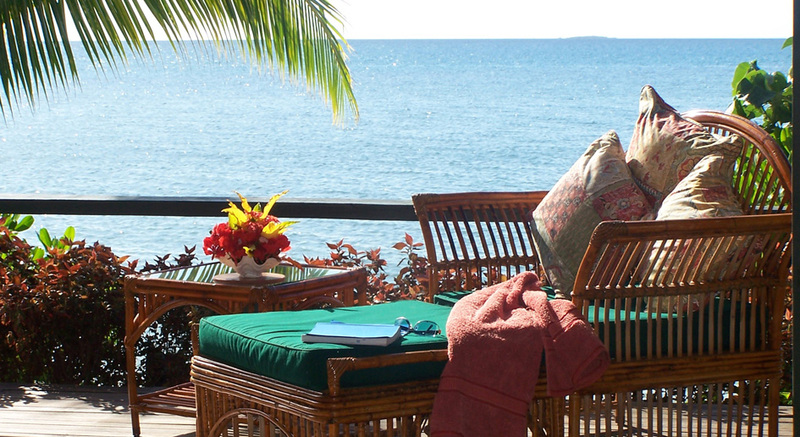 If you are energetic, a game of tennis, a day of sport fishing and Fiji’s best scuba diving are available. More leisurely pursuits are of a cultural variety. Have a traditional Fijian massage with your partner, take the medicine walk , hear the coconut story and visit local villages. On Nukubati you will sense the new luxury – the luxury of authentic experiences – romantic, adventurous, epicurean and cultural – and the luxury of environmental sustainability. From the moment you step ashore, you will know you are in a special place – an island with a natural and engaging beauty. You will enjoy long lazy hours of quality time with your partner. You will indulge in exquisite dining with superlative cuisine, prepared from fresh organic island produce. You will interact with Fijian culture, visiting villages, making new friends, learning. You will thrill with a trip to the Great Sea Reef or the pearl farm, seeing the wonders under the sea. With only seven bures and suites, designed for couples, Nukubati Island is very private and exclusive. You share the island with no more than six other couples. The bures and suites are sited along the western shoreline, just meters from the beach, affording you a full view of Nukubati’s spectacular sunsets. Traditionally designed, the rooms are louvered, light and airy, and are decorated in an elegant and comfortable style focusing on the simple creature comforts of a comfortable bed, cotton linen, soft bath towels and spacious bathroom. These rooms are situated to take advantage of the cool sea breezes and, in keeping with Nukubati’s carbon neutral manifesto, are not air conditioned. With no telephones or TVs to distract you, your attention turns to the surrounding pristine environment where you can relax, free of the noise and hectic pace of modern life. All meals and beverages are included at Nukubati. It is a truly all inclusive resort! Nukubati is famous for its food. Seafood is our specialty, freshly caught off the resort, with tropical fruits and vegetables organically grown in our own gardens. Cooking style is Fijian, featuring traditional South Pacific recipes using all local ingredients, herbs and spices. However individual dietary requirements, such as vegetarian or no seafood meals are catered for. All meals, morning and afternoon teas, and beverages (including wines and other alcoholic drinks) are complimentary. Meals can be taken in the Pavilion, on the beach, in your room or at any other romantic spot on the island you wish. Meal times are flexible. Nukubati has an extensive wine cellar stocking premium Australian and New Zealand wines. There are two bars, one in the Pavilion and the other on the front lawn, and a bar service to all parts of the island! The South Pacific has always been the most romantic corner of the world. The beauty of the islands, the people, and their way of life, captures the hearts of visitors. Nukubati Island exudes this romance and is the perfect place for a honeymoon, a wedding or a rekindling of your love. With a candle lit dinner on the beach, a picnic on a nearby deserted island, a walk through the rainforest or just a simple breakfast of tropical fruit on your verandah overlooking the beach, the intimacy of this small private island resort will capture your heart. Nukubati Island will be pleased to arrange your memorable legal wedding ceremony. You can choose any location on the island. The most popular choice is on the beach at sunset. The ceremony can be conducted by a civil celebrant or our local church minister, Father Charlie, and accompanied by a village church choir or the very popular Nukubati Serenades. You may even choose to buy or hire traditional Fijian Wedding Costumes. You will need to allow 3 working days at Nukubati prior to your wedding to obtain the marriage license. One of our staff will take you to the Registrar of Marriage office in the nearby town of Labasa to sign the relevant papers. To obtain the marriage license, Passports and Birth Certificates are required, and, in the case of a second marriage, either a Decree Nisi or Death Certificate as applicable. It is required that both parties be over 21 years of age, if not, then the respective fathers must be present to sign the consent document. While Nukubati is a low to no activity destination, specializing in laid-back luxury, we do provide plenty of the adventure that the South Pacific is renowned for, from very special scuba diving on the world’s third largest barrier reef, to fast catamaran sailing on the afternoon breezes, to exciting trawling for the big ones on our sports fishing boat, and to thrilling surfing offshore, where the waves leap out of the ocean. Nukubati is renowned for first class service and that service extends to our diving. Each couple or dive group have their own boat and dive guide. All dive gear is provided by the resort and is top of the range Apollo brand with both metric and imperial dive computers. You plan your dive with your dive guide for maximum enjoyment and if you find a new dive site with that “something special”, the naming rights are yours !!! You don’t have to be a scuba diver to enjoy the delights of the Great Sea Reef. In fact, you will probably see more reef life just snorkeling. The corals are within arm’s reach, and you can see, feel and touch a vast array of undersea life just cruising on the surface. All snorkeling gear is provided on Nukubati and lessons can be arranged for those who aren’t as confident in the water. Snorkeling can be done on the inside reef, at the Great Sea Reef or even around the island. This amazing experience is for all visitors to Nukubati. Let Nukubati’s boys guide you through a fisherman’s paradise. Nukubati has all the gear required for success. Sport Fishing: Charter one of our fully equipped sport fishing boats and go out to the Great Sea Reef for the really big ones! Salt Water Fly Fishing: Whether you stand on the beach or take the punt and cast around the mangroves, you are sure to enjoy this increasingly popular style of fishing. Bring your own lures or select from Nukubati’s proven range. Or – just plain hand lining and trawling over the small inner reefs – serene, tranquil and very rewarding. And there is also spear fishing – authentic spear fishing using a Fijian native spear, not a spear gun. Nukubati’s surf season is the summer season, November to March, when the swells come from the North Pacific and create exciting surf conditions on the Great Sea Reef, just 20 minutes by boat out from Nukubati island. The season is very specific. Outside these months there is no surf at all. There are two main reef passes, Raviravi and Twin Passage. Both passes have a left hander and a right hander opposite each other and about 300 meters apart. On Twin Passage the righty is an incredibly fun wave, just perfect and totally rippable, with barrels possible at take off. Note: The domestic airline will only carry boards up to 7ft 6in length. Nukubati maintains fully rigged 14ft catamarans suitable for solo or twin sailing. Take one out and have a leisurely sail in the morning calm of the bay or an exhilarating sail on the afternoon breeze. Even if you have never sailed before, here is your chance. One of our staff will be happy to take you out and show you the ropes. When the wind does pick up and you are feeling adventurous, there are also windsurfers to suit your thrill. There are many other activities available for a nominal fee. Nukubati accepts adult guests & children 12 years and over. Children under 12 on request only, unless Nukubati is booked on a charter basis or when family weeks are assigned.